The dumping of 21 dead fetuses and babies is the latest sign that the Chinese have lost all respect for human life, says Daily Beast China correspondent Huang Hung. The darkest, most horrific part of the news that 21 dead fetuses and babies washed ashore this week in China is not that it was a government coverup. Nor were their deaths the result of an evil campaign of forced abortion by Chinese family-planning officials. The parents of the dead simply chose to get rid of the bodies instead of giving them a proper funeral. Amazingly enough, the story of the babies appeared in the Chinese press. It was heavily censored on state-run TV and on the Internet, but it did appear. Chinese outlets are reporting that two men working in the morgue of Jining Medical University Hospital, in Shandong Province, took money from the parents of the deceased infants to dispose of the corpses. The two buried the bodies in a shallow grave near a river, and when the tide rose, they were washed away. All these stories make me wonder, who are we, the Chinese? Are we the people of Olympic glory or monsters who pay people to throw away dead babies? According to local police, of the 21 bodies, three had hospital tags attached to their ankles. Hospital records indicate that one died in the hospital, and two had been critically ill and their parents had decided to give up treatment and picked them up from the hospital and taken them home. It is not clear how many of the deaths were the result of induced birth, which most likely was a very late stage abortion. The two men who worked in the morgue have been fired, and one of the deputy directors of the hospital has been put on probation. And that is pretty much the end of the story. I get all my news from the Chinese Internet giant Sina’s Twitter-esque microblogging site. There I follow at least two dozen of China’s best investigative journalists, so I know what stories they are working on, especially those that might be censored. So even though the story of the dead babies got out, other just as horrific stories have yet to be publicized. • Parents from Shanxi Province trekked to Beijing to complain to the central government about a vaccine manufacturer that has been putting out a product that causes two to three years of epileptic seizures in children before eventually killing them. The manufacturer has bribed local vaccination officials to make the vaccine mandatory in kindergartens in the province. In an effort to suppress the story, the provincial government sent police officers to Beijing to arrest the parents and forcibly take them back to Shanxi. • Grease from the gutters near restaurants is being collected by the homeless and sold to small, illegal shops. After minimal treatment, the grease is sold back to Chinese restaurants as cooking oil. Allegedly, for every 10 restaurant meals, at least one is cooked using gutter oil. • Inmates in Yunnan prison have been “dying in their sleep.” When family members have inquired about the bruises on the body of the deceased, they have been detained by police for questioning. • A man in a village in Sichuan Province was heavily beaten by officials after he tried to report them for corruption. The village is poor, but the local party secretary managed to embezzle at least $700,000-$800,000. The man who was beaten decided to take the law into his own hands and kill all the village officials and their male children. In all, 14 were murdered; the killer says he feels no remorse. • Just a couple of days ago, a 90-year-old man and his 68-year-old son set themselves on fire as they were being forcibly removed from their family home to make way for a new development of luxury villas. All these stories make me wonder, who are we, the Chinese? Are we the people of Olympic glory, a nation of selfless well-wishers for earthquake victims? Or are we monsters who pay people to throw away dead babies, give children poisonous vaccines, eat food cooked with gutter grease, and kill people out of revenge, however justified? As we are becoming more powerful in the world, we must ask ourselves: what are our values? The more I ask myself these questions, the more I am convinced that we are a nation that got rich and lost its moral compass. Our value system is single-mindedly materialistic, and we have lost all respect for human life. We are rich, but our values are totally screwed up. Despite all the attention in the press to the haggling between the U.S. and China over the value of the yuan, the ultimate fight is going to be over human values. I sincerely doubt that the all Chinese hold these truths to be self-evident, that all men are created equal, that they are endowed by their Creator with certain unalienable Rights, that among these are Life, Liberty, and the pursuit of Happiness. For all of our sakes, I hope you win. 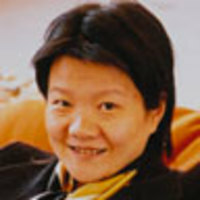 Huang Hung is a columnist for China Daily, the English language newspaper in China. She is also an avid blogger with more than 100 million page views on her blog on sina.com.